Ben studied computer science at Queen Mary’s and Westfield University and graduated with an honours degree in Economics and Management from Brunel University. He has experience working in various fields from information technology, retail, event planning, e-commerce and education. He started his career as a systems analyst at both Compaq and Hewlett Packard, and helped oversee the service systems integration of Digital Equipment Corporation. He has extensive knowledge of the import and export of physical commodities from working within multiple family businesses in the UK, US and Thailand. 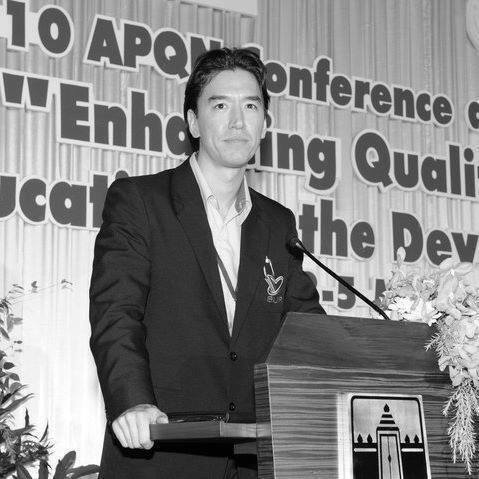 He was Head of International Affairs at a The Office of National Education Standards and Quality Assessment (ONESQA) and was a board member of the ASEAN Quality Assurance Network (AQAN); where he has organised and spoken at international quality assurance conferences across the ASEAN region. Ben became interested in the stock market at an early age, and began day trading during the Dot-com bubble. After leaving his work in quality assurance for the Thai government, he moved into retail trading and managing a private pool of funds. He was a founding member of Global Macro Capital, and has since taken an active role in macro economic research, portfolio management and mentoring interns.